Nir Shafir is a historian of the early modern Ottoman Empire at the University of California, San Diego. He is editor-in-chief of the Ottoman History Podcast. Besides the colours being a bit too vivid, and the brushstrokes a little too clean, what perturbed me were the telescopes. 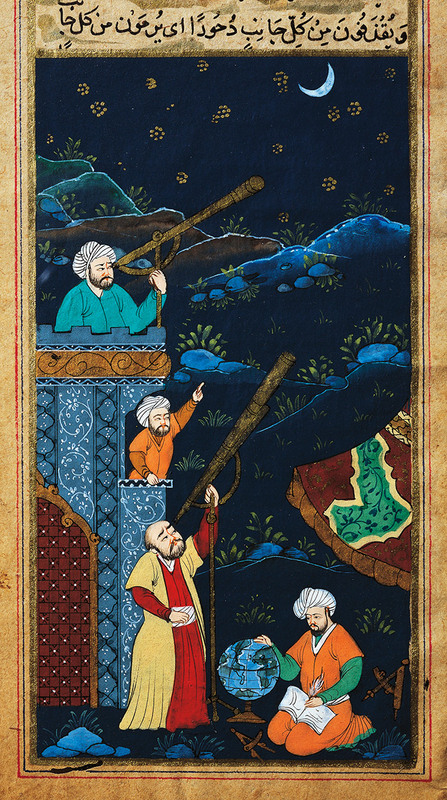 The telescope was known in the Middle East after Galileo developed it in the 17th century, but almost no illustrations or miniatures ever depicted such an object. When I tracked down the full image, two more figures emerged: one also looking through a telescope, while the other jotted down notes while his hand spun a globe – another instrument that was rarely drawn. The starkest contradiction, however, was the quill in the fourth figure’s hand. Middle Eastern scholars had always used reed pens to write. By now there was no denying it: the cover illustration was a modern-day forgery, masquerading as a medieval illustration. 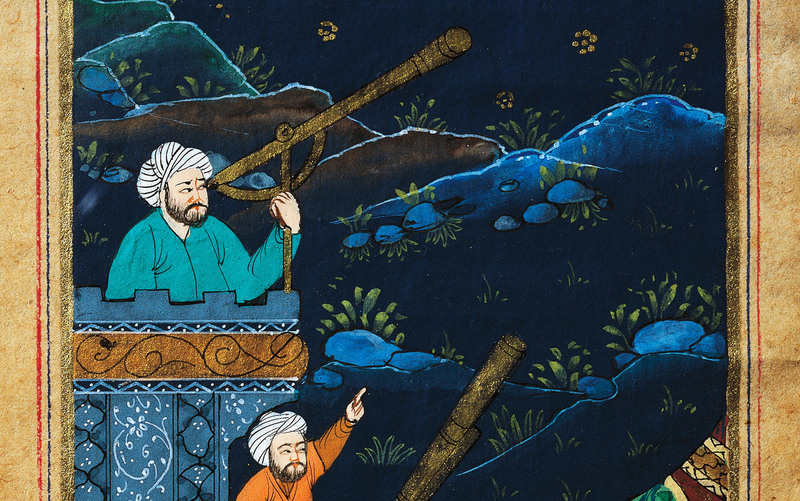 The fake miniature depicting Muslim astronomers is far from an isolated case. One popular image floating around Facebook and Pinterest has worm-like demons cavorting inside a molar. 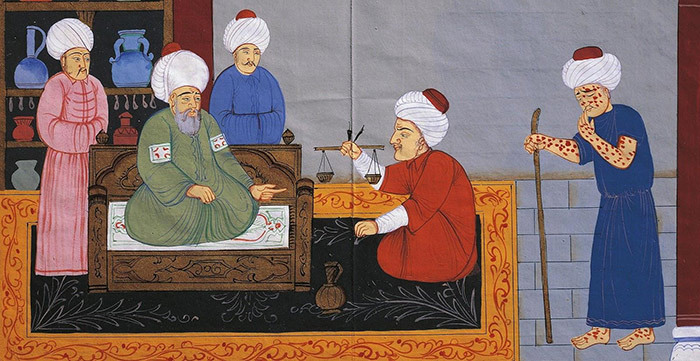 It claims to illustrate the Ottoman conception of dental cavities, a rendition of which has now entered Oxford’s Bodleian Library as part of its collection on ‘Masterpieces of the non-Western book’. Another shows a physician treating a man with what appears to be smallpox. These contemporary images are in fact not ‘reproductions’ but ‘productions’ and even fakes – made to appeal to a contemporary audience by claiming to depict the science of a distant Islamic past.